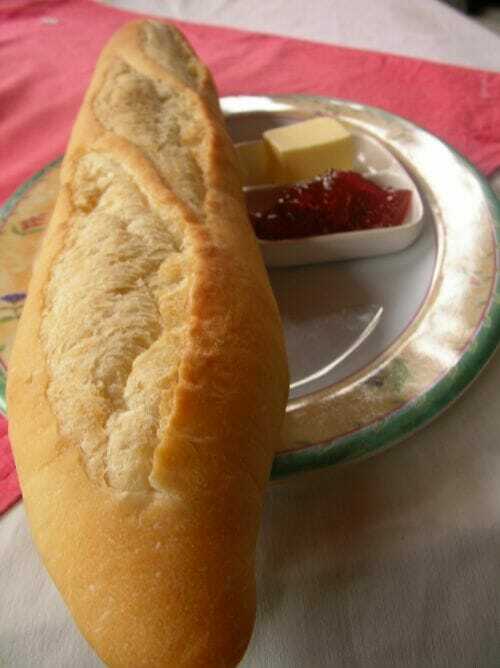 Of all the things the French did in Laos the by far the tastiest was the introduction of fresh baked baguettes. Fresh baked baguettes are almost a staple food in the major cities in Laos, and it is only a matter of time until they make their way into the rural areas. Say what you want about imperialism, but you cannot argue the delicious benefits of baguettes. Being from Vietnam there are many french influences in my daily life with the most being the baguette. We have it for our Vietnamese subs (which are getting popular in north america) and also with our curry and with our eggs for breakfast.